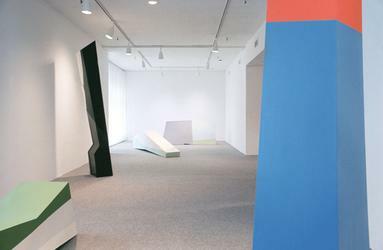 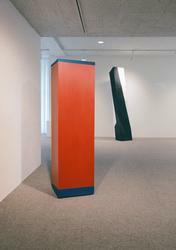 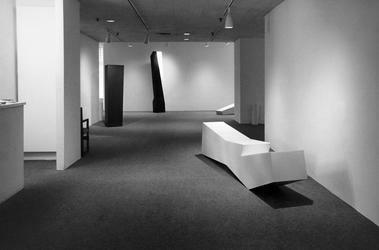 Truitt’s second one-person exhibition at André Emmerich Gallery, comprised of eight polyhedral aluminum sculpture that the artist made in Japan in 1964. These include Back, Out, Winter Solstice, Sea Garden, Late Snow, Morning Walk, Summer Run, and Wait. 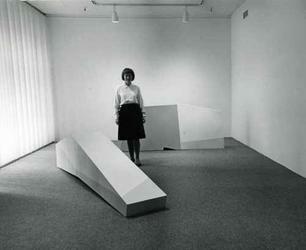 Although the work Here is featured on the announcement, it is not included in the final installation.